Sudan's army deployed around its Khartoum headquarters Monday as thousands of protesters urging the military to back calls for leader Omar al-Bashir's resignation defied tear gas to demonstrate for a third day, witnesses said, AFP reported. Protesters have since Saturday camped out around the army complex -- which also houses Bashir's residence and the defence ministry -- in the biggest anti-government demonstrations for months. "After that, security forces began firing tear gas at protesters," a witness said on condition of anonymity. 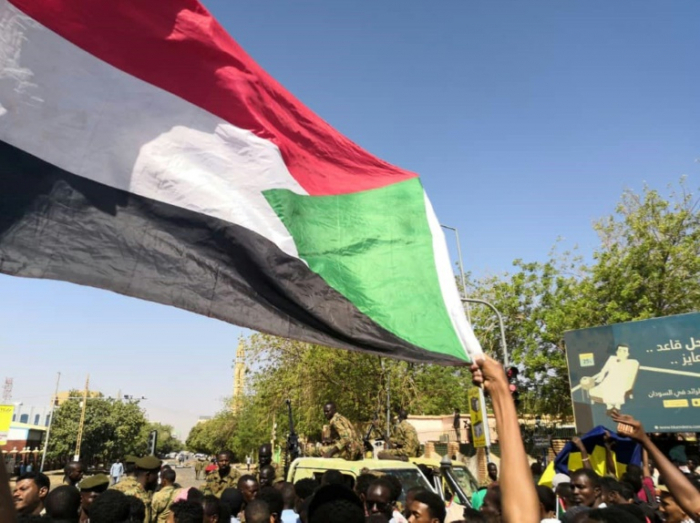 "We want you, the young officers and soldiers, to remain committed to the role of the national army, which is of protecting the people," the Sudanese Professionals Association said in a statement. "I stepped out on my balcony hearing the sound of the gas canisters and could feel the gas in the air," said one resident. "Security forces of the regime are trying to disperse the sit-in by force," the organisers called the Alliance for Freedom and Change said in a statement. "We call on all people around Khartoum to gather there to protect our people on the ground." Some companies have told employees not to come into work "until further notice". Chanting anti-government slogans, protesters have been urging the military to back them in demanding Bashir's resignation. Sudan's protests first erupted in response to a government decision to triple the price of bread. But they quickly morphed into nationwide demonstrations against Bashir's three-decade rule.